In what is likely President Barack Obama’s final environmental action before Donald Trump moves into the White House, the president has expanded the existing California Coastal National Monument — adding a mix of lighthouses, rocky outcroppings, stands of redwoods and significant Native American grounds that will be knitted into the existing federal preserve on and off the coast from Humboldt County to Orange County. The move was applauded by environmentalist who feel a greater urgency to shore up conservation gains before the Obama administration is ushered out. Given the general antienvironmental tenor in Congress, and the Trump administration’s uncertain and unexpressed view on conservation issues, some groups saw the announcement as important not so much because it afforded the California sites protection from encroaching development, but because those areas would be spared from a questionable future. Western conservatives have been increasingly pressing the federal government to surrender lands it now owns, and the Republican-controlled Congress has taken up the campaign. On the first day back in session earlier this month, the House made it easier to transfer federal land to states or local entities by overturning a rule requiring a calculation of the value of federal land before such a transfer. Groups lined up to praise Obama, and to cast a wary glance at the future. Obama’s proclamation not only adds 6,200 acres to the existing monument, it significantly amplifies the protections afforded the new sites, which will be managed by the federal Bureau of Land Management. Unlike executive orders, which can be undone with the stroke of a presidential pen, monument designations cannot be rescinded by a successor. While some in Washington believe the Congress has the right to claw back the decisions, there has not yet been a legal challenge to a presidential monument proclamation. That could change under a Trump administration. Among the bills taking aim at the Antiquities Act is one proffered this month by Sen. Lisa Murkowski, R-Alaska. The proposal, the Improved National Monument Designation Process Act, would require future national monuments receive approval not only from Congress before designation, but also from the legislature in the state or states affected. Among the other monument designations made Thursday were three historically significant civil rights sites in Alabama and South Carolina as well as an expansion of the Cascade-Siskiyou National Monument in Oregon. Conservation groups in California had long campaigned for adding the sites to the monument, which was first established in 2000 and expanded by Obama in 2014. That cause was championed by Democratic Sen. Barbara Boxer, whose bill to expand the monument stalled before her retirement this year. The Lost Coast Headlands (Humboldt County) — a former Navy installation on coastal bluffs that provide plant and wildlife habitat. Waluplh-Lighthouse Ranch (Humboldt County) — site of a former a 19th Century lighthouse with views of the Eel River Delta, the Pacific and parts of Humboldt Bay. Cotoni-Coast Dairies (Santa Cruz County) — a former dairy and industrial site that is now habitat for rare animals. The waters are home to whales and other marine mammals. Piedras Blancas (San Luis Obispo County) — a historic lighthouse and an area with cultural significance to the Chumash and Salinan tribes. Rocks and islands (Orange County) — formations that provide roosting habitat for sea birds and “haul-out” or resting areas for seals and sea lions. 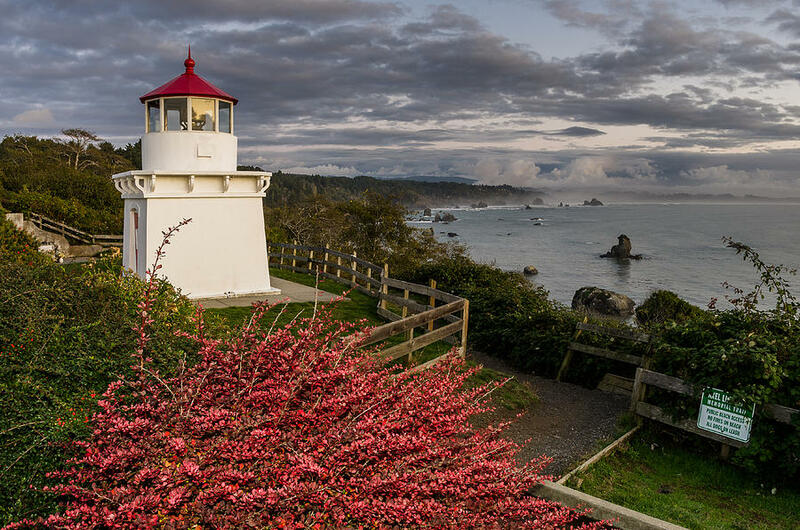 The first land-based expansion of the California Coastal National Monument came in 2014, when Obama included what came to be called Point Arena-Stornetta Public Lands, about 1,665 acres north of the town of Point Arena in Mendocino County.